Join us this Summer 2019, meet other artists and students, and become part of a vibrant contemporary art community. The Centre for Continuing Education at NCAD offers a range of short summer courses in art and design for adults and school leavers (16+) who want to explore their creative potential, learn new skills, or develop an on-going practice. Summer courses are at different levels; there are introductory courses suitable for beginners, or for those considering returning to or progressing within higher education. If you want to learn something new you can choose beginners courses, and if you have established an arts practice and want to continue to expand and explore your options you can choose advanced courses. Where students are interested in applying to the accredited part-time autumn options or want to progress within art and design they can consider taking one or more summer workshops as a way of developing skills and knowledge in a subject area. Please read the following information on bookings, note to returning students, fees and Terms & Conditions carefully before applying for your Summer short course. Places on summer short courses are allocated on a first come first served basis. We can process your application only on receipt of full payment of course fee. Courses will be confirmed once minimum numbers are achieved. If a course is over-subscribed it is possible to join a wait list for cancellations. While some courses book up earlier, Summer Programme bookings will remain open for courses with open places remaining. If you are/have been registered on an accredited course at NCAD you will already have an account at myNCAD, and you can book your summer course through your existing MyNCAD account. If a course is over-subscribed it is possible to join a waitlist. If a place becomes available the applicant must submit a full application, including payment, in order to secure the open place on the course. During the course the emphasis will be on developing ideas through exploration and experimenting with sculpture media. The tutor will encourage students to discuss the processes involved in sculpture making and how these processes can be applied and used in contemporary practice. The aim of this three day course is to introduce students to basic sculpture techniques, including: mould making, 3D construction using found object and mixed media, casting in plaster and wax and surface finish. This course will also include discussion about contemporary artists who work with media and processes introduced during this course. Students are encouraged to use library facilities to research artists and processes. The tutor will demonstrate a variety of techniques and processes and encourage a group approach to learning to promote a good working environment. Students are advised to come to the course with ideas or images that they may want to use as a starting point. The course is suited to those who wish to develop a good understanding of basic sculpture making techniques and who wish to develop their concept/ideas and skills. The course is also suitable for those wishing to attend the Autumn Courses AC06, AC12 and S/302. Once you have completed the application process, please retain your username and password for future use. This 5 day course is ideal for both beginners and improvers. Through a range of exercises and projects students will learn fundamental aspects of the digital imaging processes. The tutor will explain the terminology of photography: f-stops, shutter speeds, depth of field, etc and introduce you to the do's and don'ts of composition, lighting, editing and presentation. Students will be advised about a variety of approaches to portraiture using available light sources. This small group will go out on location most days, weather permitting. At the end of the week the combination of workshops and practice will have greatly enhanced your understanding of how to use your camera more effectively and you will have insights into different approaches to creating good quality images thus improving your existing abilities. The aim of this course is to improve and develop the student’s core skills in drawing and painting. The week of classes provide a comprehensive instruction course in basic techniques. This course is suitable for those who want to return to art making after a gap, or for those who have had limited practical experience and now want to acquire and work on basic skills in a way that will assist their transition into experience of education and art work. The course includes demonstrations and workshops. 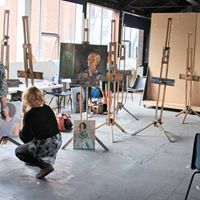 It will include two long sessions on life drawing and painting from life, as well as a workshop on portraits and ways to approach getting a likeness; simple drawing and painting skills; and many other set exercises and practical activities. Subjects covered include: drawing from observation, life drawing, colour theory and paint mixing, mark making, painting from life, understanding basic composition; and other basic aspects of painting and drawing. The purpose of this 3 day course is to introduce students to basic colour theory as it relates to painting and to provide a better understanding of how colours react with one another. This course will involve a series of exercises to give students a clear understanding of the colour wheel, primary and secondary colours, complementary colours, mixing neutrals, colour temperature and colour contrast. 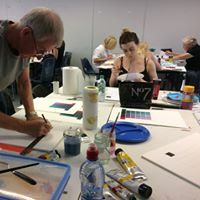 During this 3-Day Course each student will build a personal library of colour mixes, which will act as a reference for future painting projects undertaken in classes or at home. This experience should provide the beginner with the necessary confidence to start painting and go some way towards improving the work of more experienced students. This course is suitable for both beginners and advanced students who wish to learn more about colour. This 3-day course will introduce students to various techniques associated with etching/drypoint print-making. Students will be encouraged to explore a range of materials and develop a creative approach to printmaking processes. The student will complete the course with a series of finished hand printed prints. Demonstrations are included in the tuition. Previous experience of this medium is not necessary. The aim of this course is to develop and improve student's core drawing skills. The course provides thorough grounding in drawing techniques and consequently will appeal to all levels - from the beginner to the more experienced student. In tutoring students in the 'ways of seeing' and fostering confidence in the drawing processes, this course will give students the fundamental drawing skills which are the foundation of every other discipline: be it painting, sculpture, printmaking or design. Through practical exercises, and with one-to-one tuition, students will examine drawing by expermenting with a range of materials and media. They will explore a variety of vital areas including portraiture, life drawing, still life and the built and natural environment. A life model will be present for one day. Students will benefit from the use of the excellent NCAD library, which shall be used as a resource to reference artists' work. 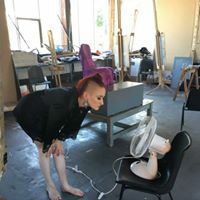 Drawing takes place both in studio and on location. The aim of this course is to increase student’s confidence in their technical abilities, through in-depth examination of different techniques that are employed in current practices of drawing and painting today. There will be a solid emphasis on drawing within the course, as drawing is a convenient and expressive means of evolving a composition, and of recording visual information for translation into another medium later on. The course allows for sustained and intense concentration, with the freedom to experiment and revise. It will begin with a series of studies from a variety of poses exploring tone, colour, light, space, composition and pictorial structure. Through concentrated observation and the study of traditional and contemporary approaches, students will be encouraged to interpret their individual vision and talents. The drawings and paintings of the great artists from past and present will be looked at and discussed during the course. Students may choose to work in oils, acrylics, or watercolours. Teaching will be on an individual as well as collective basis. There will be a life model in attendance from Tuesday to Friday. A materials list will be given to each student. This 3-day painting course will give students the opportunity to experience the process of drawing and painting an urban environment directly from observation in a safe supervised location on the NCAD campus. Students will receive step by step guidence in selecting a subject, making thumbnail sketches, scaling up on site, colour mixing and gathering revelant information for further development in the studio. On completion of this course students should have gained an understanding of what is involved in painting on site, and out of doors. This course should act as a catalyst for continued study through other courses and/or further drawing and painting in the students own time. The course is suitable for beginers as well as more experienced students. The aim of this drawing course is to develop the student's skill in the practice of keeping a sketchbook. Visual Research and developing ideas in sketchbooks is considered an integral part of an artist's work. Through making a series of sketches you can visually explore subject matter that you are curious about or have a personal interest in. This course will appeal to students with some drawing experience. It would also appeal to the more experienced students, and would be especially beneficial for students wishing to go back to college and those applying to the certificate courses offered by CEAD in the Autumn. Students will draw from the built and natural environment. Drawing takes place both in studio and on location at NCAD and The Irish Museum of Modern Art. Students may paint in oils or acrylics on this course. Kenneth has painted to commission many distinguished people including a former Taoiseach and other senior figures in Irish society. This course is for all students and artists with an interest in contemporary portrait drawing and painting. Portrait painting remains a very specialist area of drawing and painting. The course will include a slide presentation of established and well known Irish and European portrait painters, such as; William Orpen, Edward McGuire and Lucian Freud. The course will focus on the drawing and painting from life of the portrait. Drawing studies in pencil, charcoal and pastels will be the first stages of preparation for the portrait. The classical methods and techniques of portrait painting will be taught on this course. Emphasis will be on the understanding of composition, the mixing of the flesh tones, complete tonal values of the portrait. The tutor will demonstrate classical methods and contemporary techniques of applying paint to canvas. On completion of the course each student should have painted a half length portrait in oils or acrylics on canvas. At the end of the course a review of each students’ drawings and finished painting will be given by the tutor. A materials list will be sent to each student. This list will contain the full range of oil or acrylic colours and brushes needed for portrait painting. A. Silk Screen Print using paper stencils. Students will have the opportunity to print on both natural and man-made fabrics. Design will play an integral part of the course. Students will be required to pursue their own themes/ideas. With the tutors help students will develop these ideas into designs suitable for any or all of the printing processes taught. Elements of colour, design, layout, scale and texture will be explored throughout the week. By the end of the course students will have a notebook filled with samples that will be source of inspiration should they wish to continue studying art and design. A list of materials will be distributed before commencement of the course. Fabrics are not included in the course fee. Samples of fabric will be available to buy form the tutor. 1: Professional individuals wishing to develop and acquire additional skills and knowledge. 2: Individuals wishing to pursue personal interests. 3: Individuals who have an art practice and wish to explore and learn new skills. Completion of this 5 Days course will allow the participants to apply for the AC10 Printed Textile Course in the Autumn. If a NCAD Summer Short Course is fully booked you can add your name to the waitlist, and we will contact you if a place becomes available. Open places remaining on Introduction to Printed Textiles running from 01 to 05 July, more information. 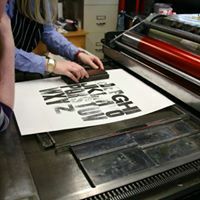 Designed for beginners or those with some knowledge of typography, graphic design or relief printing, this course offers the opportunity to gain access to Distillers Press, a fantastic working letterpress facility. 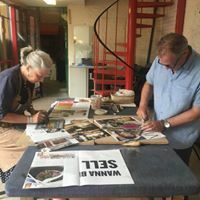 The course will begin with an induction to the workshop, an overview of letterpress printing with examples of artistsʼ & designersʼ work, an explanation of hand setting and an introduction to the use of the press. Following the first dayʼs introduction participants will cover two-colour printing and the use of wood and metal type to create their own work under supervision. This will take the form of a print or poster printed in a small run of 10 -12 copies. The course will provide an excellent overview of the processes and materials involved in letterpress printing. Quality paper will be available for purchase from the tutor. The five-day course in mould making aims to introduce students to basic mould making for one or two-part moulds for use in ceramics. The tutor will demonstrate a variety of techniques and processes and encourage a group approach to learning to promote a good working environment. 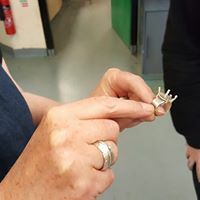 The course will include learning to identify an appropriate object for a one or two-part mould, preparing objects for the moulding process and making plaster moulds. Finished moulds will be dried, ready to be used later in the week for clay press moulding. The tutor will demonstrate a variety of press moulding techniques such as sprigging, coiling and slabbing into moulds. 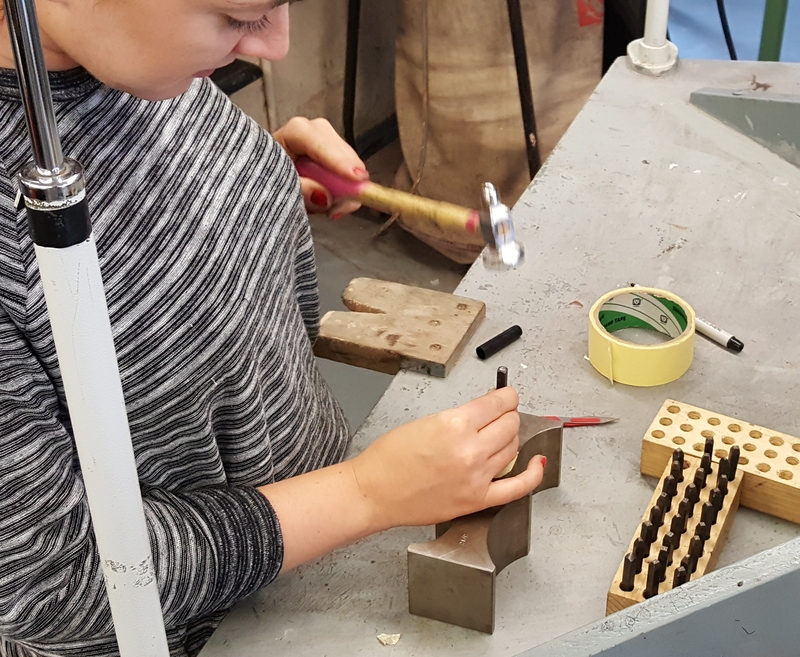 This introductory jewellery skills course is intended to provide an intensive introduction to and overview of the fundamental skills of jewellery making, with a view to encouraging participation in the practice on an ongoing basis. Techniques covered in this five day course include; piercing (cutting), filing, soldering, emerying, riveting and finishing processes. The emphasis will be on acquiring and practising the skills listed but at least one finished piece will be produced during the course. This five-day course provides tuition in technique and design with an appreciation of traditional stained glass leadwork, copperfoiling, painting and complementary techniques such as sandblasting. This is also a course which might be of interest to those already working in the art/design field, as it provides hands on experience and guidance to art/design production. For the advanced student, there is an emphasis on project design and development of more advanced skills using the glass department and the library facilities. Each student is encouraged to undertake his or her own individual projects throughout the course. Beginners or advanced are both welcome. This one week introductory course is suitable for school leavers and adults interested in learning more about fabric materials and sewing techniques for use in fashion design and visual art areas. The course is suitable for anyone interested in applying to do a fashion or textile course at third level or someone who wants to learn more about how to work with fabric and realise its potential. The course aims to provide students with an understanding of how to sew fabric and other soft materials like plastics, paper etc. No previous experience of sewing is required, though an interest in materials and willingness to experiment is important. Through practical demonstration and experimentation the participants will be encouraged to explore their relationship with fabric as a creative medium. This course covers the following subjects ; how to manipulate fabric through techniques like pin-tucking ,free hand machine embroidery and how to heat bond fabrics to create your own unique fabrics will also be demonstrated. Through participation in exercises and demonstrations participants will have enhanced their technical skills and should have greater confidence and knowledge of working with fabric. This three day course is suitable for all interested in creating a unique and personal Artist Book. Students will gain experience and skills in using a range of paper stock, card, threads and adhesive to create a series of Book examples: pamphlet, accordion, Japanese binding and Coptic binding. Further skills in creative folding, die-cut, embossing and collage will be developed. Following these skill based sessions students will have the opportunity to develop a concept and evolve a personal approach towards a single book or series of books. The following themes are suggested: ‘Environment – the future in our hands?’, ‘Sounds and Silences’, or a theme of your own choice. Students may select graphic techniques such as drawing, cut-paper, collage to create a sequence of pages which from opening to closing will reveal a personal concept. This course is suitable for individuals (both school leavers and mature students) preparing a portfolio for entry into third level art and design colleges. Portfolio preparation focuses on the development of visual ideas and skills leading to the creation of a body of work suitable for application to first year art/design studies. Emphasis will be placed on the development of drawing and observational skills through studio and location work. Participants are obliged to undertake personal projects outside of course hours and these will be monitored on a day-to-day basis. Tutors skilled and experienced in portfolio teaching deliver this course. Our period of study is a preparatory programme only. Students should not assume that attending this course would give them an advantage over others who wish to access the NCAD full time degree courses. Students attending this course should be 16 years of age or older.